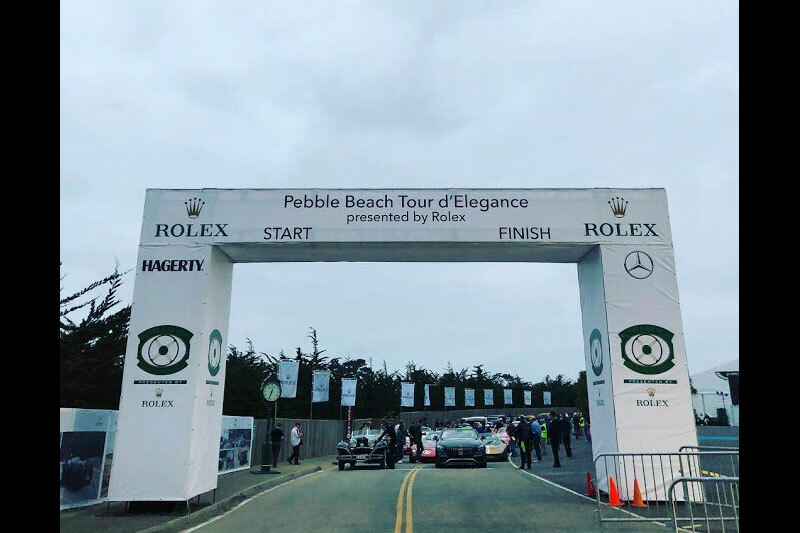 One of the best experiences of Monterey Car Week's lavish automotive festivities is the Pebble Beach Concours d'Elegance. 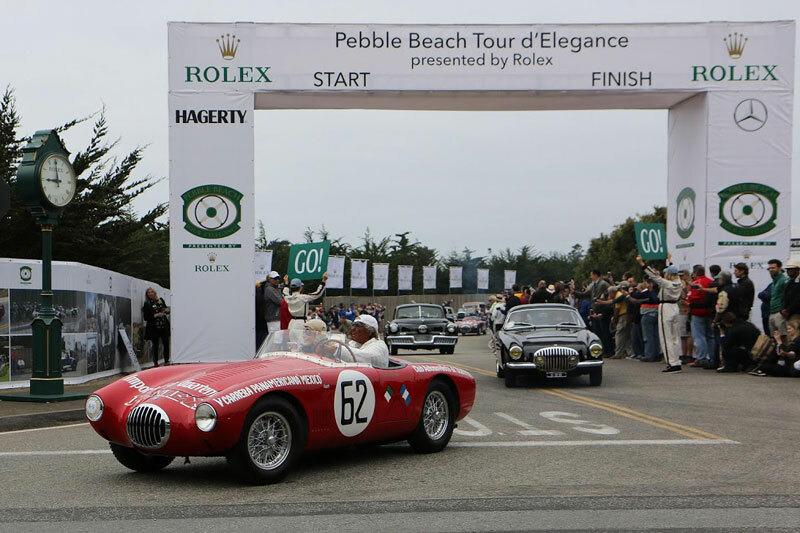 Through a tradition that goes back over half a century, only the best collector cars in the world are showcased on this awe-inspiring morning journey ride around the Monterey Peninsula's picturesque seaside roads. As viewers listen to these million-dollar (or more) machines roar and watch in admiration, it is likely one of the best moving motoring museums that anyone could ever witness; and Fuller Street is at the "Start and Finish" of it all. 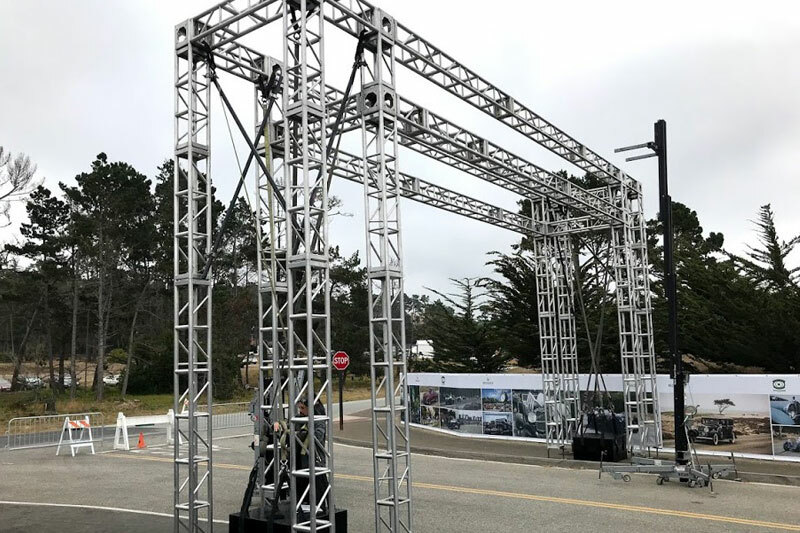 To create an elegant "Start and Finish" line arch, Fuller Street designed and built a structure 16' feet high x 27' feet wide, encompassing the entire width of the track. 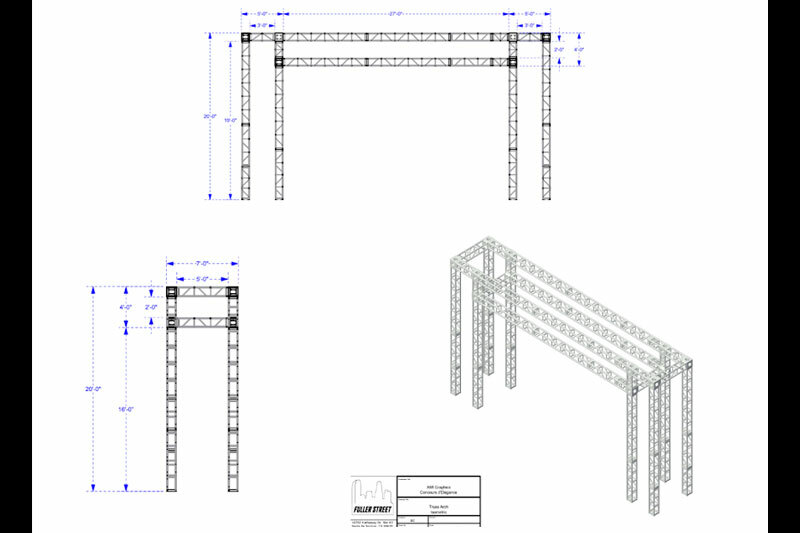 We used 12" inch box trusses and two 3,500 lb smart block ballasts for ground support. Lastly, with a crew of 4 and two 30' reach forklifts, we raised this massive architecture into place. The final result was nothing short of spectacular. We are proud that Fuller Street supported the vision and the passion of the most innovated, stylish automobiles both on display and in competition.